1. It’s a chance to explore what Judaism means for you. I had a lack of knowledge about Judaism and felt a massive disconnect from religion. I was eager to find my Jewish identity and further explore what it means for me to be a Jew. 2. Being Jewish means something different for everyone, and that’s okay. 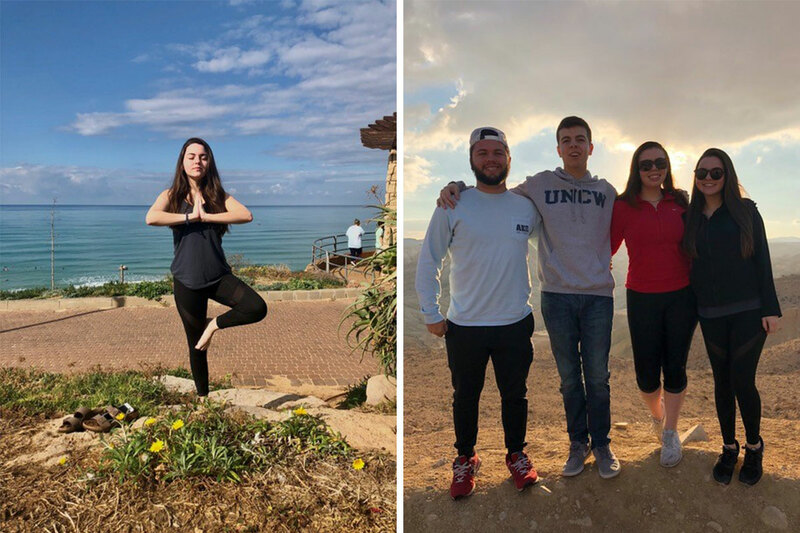 One of the biggest takeaways from my Birthright Israel trip was learning that Judaism can be more spiritual than what I had previously known. I met new people who practiced our religion and culture differently than me, but in the end, we are all one. 3. There’s this thing called Kabbalah, and it’s pretty cool. In an art gallery in the ancient city of Tzfat, an artist connected me to the Kabbalah and spoke to me about what Judaism was to them. I found I could really identify with their approach and looked forward to learning more. 4. No question is a dumb question. The thing I appreciated most about my Birthright Israel group was our ability to open up, speak up and ask questions as individuals. Our entire trip was filled with activities and places where we each shared our experiences, having the opportunity to hear from others made me learn so much. By the end of the trip, we were family. 5. I discovered who I was. I discovered that I could travel 6,000 miles away from home and gain the confidence to challenge myself and take risks. 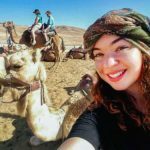 My Birthright Israel trip was a huge leap, and it has inspired me to travel the world and see and experience other cultures. 6. Israel is my second home. I felt so accepted in Israel. Growing up in North Carolina, there are not many Jewish communities. When I was younger, there were only two Jewish families at my elementary school. 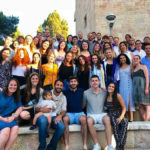 It was exuberant to be in a place where there are Jewish people everywhere who are vocal about our culture and religion. I have never felt so accepted in that way, and Birthright has taught me that I have a second home. 7. Don’t always believe what you see on social media. Living in the United States, I think the perception that people have of Israel is that it is very dangerous. My parents were hesitant for me to go on the trip because of the way that Israel is presented in the media. 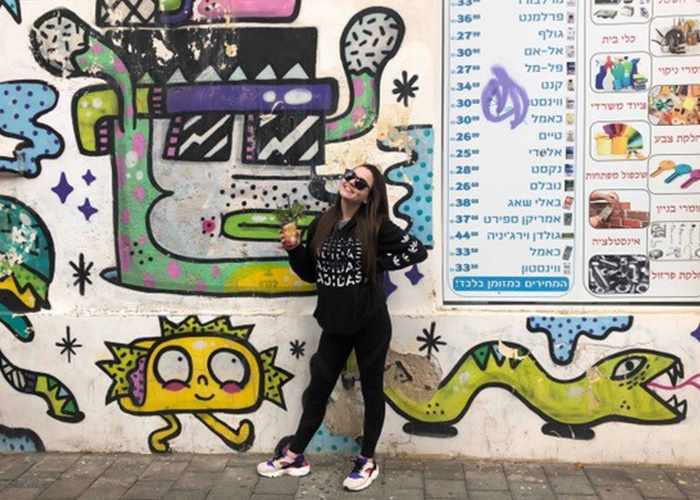 However, seeing the country first hand has changed my view of Judaism because it made me feel more in touch with my religion, and not to be embarrassed about it. In the U.S. people still receive discrimination for being Jewish all the time, and I was never vocal about my religion or embraced it because of this. This trip has made me proud to be Jewish and to show my true identity. 8. 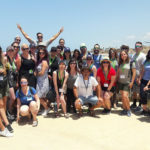 It took 35,000 people to make my Birthright Israel trip happen. If it were not for the 35,000 donors who believe in young Jews like myself, I would not have had this opportunity. Without this gift, I would not be the person I am today. These people and my trip changed my life and made me embrace my religion, which was something I was previously struggling with. I’m forever grateful. Birthright Israel Foundation is listed by the IRS as a 501(c)(3) non-profit. All donations are tax deductible to the fullest extent of the law.